5 Secrets to Successfully Marketing your website. Do you have an appealing website with great content? 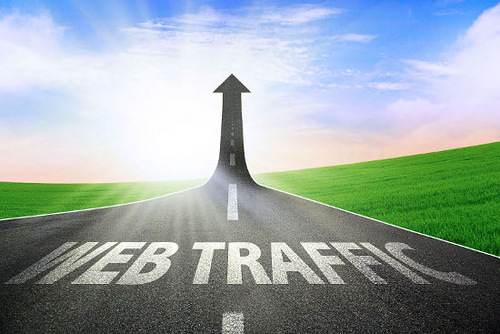 Not attracting the traffic your site deserves? Wondering how to successfully market your website to your target audience? Ensure increased traffic to your site by following these 5 secrets to successfully marketing your website. A great way to market your site for relatively low cost(or even for free) is to create social media accounts that are linked to your site. Create a following on your Twitter, Facebook, or Instagram account. Create links to your site on each of your social media accounts. Regularly post content that leads back to your site on your social media accounts. By creating a following on your social media accounts and regularly posting to these accounts, you will be taking full advantage of the greatest free marketing campaign. Facebook offers you the ability to create an ad campaign for a reasonable cost. You set the dollar amount you wish to spend each day, month, etc. and Facebook does the campaigning for you. Facebook ad campaigns are an easy and effective way to market your target audience for a relatively low-cost. A great way to market your website is to start collaborating with other websites within your same niche. Collaborating with others in your niche allows you to gain more followers within your target market. Write a guest post for a fellow blogger within your niche. Include a link back to your site. Conduct a giveaway with similar blogs in your niche. Swap ‘ad’ space with a fellow blogger within your niche. The goal to collaborating with others is to gain more followers and market towards your target audience. Collaborating with other websites within your niche will ensure that you are marketing towards your target audience. ‘YouTube’ is the number one way to reach your target market. Why? Because that is where your target market is searching for information, tutorials, advice, etc. Most audiences are visual, making YouTube an ideal way to market your target audience effectively. Create a YouTube channel for your website. Regularly post high-quality videos to your YouTube channel. Post links to your YouTube channel on all of your social media accounts, as well as your website. Include links to your website on your YouTube channel and within each of your YouTube posts. A post or link may have initially attracted your audience, but to keep them coming back again and again to your site, you need to post quality content, often! How to create great content for your site? Take time to create quality content that your audience is interested in. Make your content viewer friendly. Use titles, subtitles, lists, etc. This will help to create viewer friendly content. Email marketing is a very cost effective way to market your website. It allows you to retain your audience through regular updates that are sent straight to their emails. To create a successful marketing campaign, you must first generate mailing lists(and by mailing, I mean ‘emailing’). How to generate mailing lists? Offer a free ebook, discount code, or something else for free in exchange for a mailing address. Simply tell your audience that they will receive the latest newsletter, promotions, etc. by subscribing to your site. 1. Determine how often to send regular updates to your audience. 2. Create quality content that is tailored towards your audience. 3. Constantly revisit and revise your email marketing campaign to meet your audiences needs. Conclusion: Successfully marketing your site is not as daunting as it sounds. By following the 5 secrets for successfully marketing your site, you will see results of increased followers and an increase in retaining your current followers. What secrets do you use for marketing your site? Share your experiences in the comment box below. Sarai works for Objective, the creators of Built for Teams an intuitive, easy to use online human resources tool.